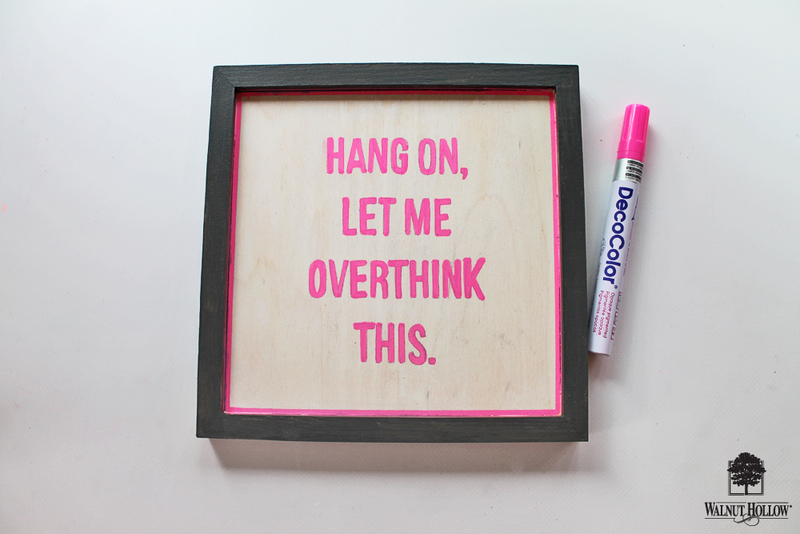 Have you seen the Framed Sign trend yet? 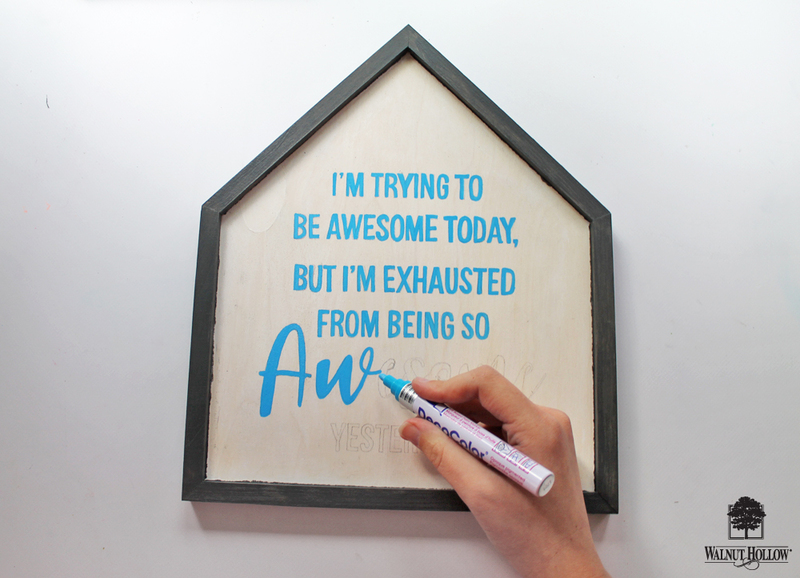 I’ve seen so many cute signs in stores and Walnut Hollow makes a few different sizes and shapes of framed wood signs so that you can make your own, so that’s exactly what we’ll be doing today! I’ve added some fun, witty, sayings onto mine. 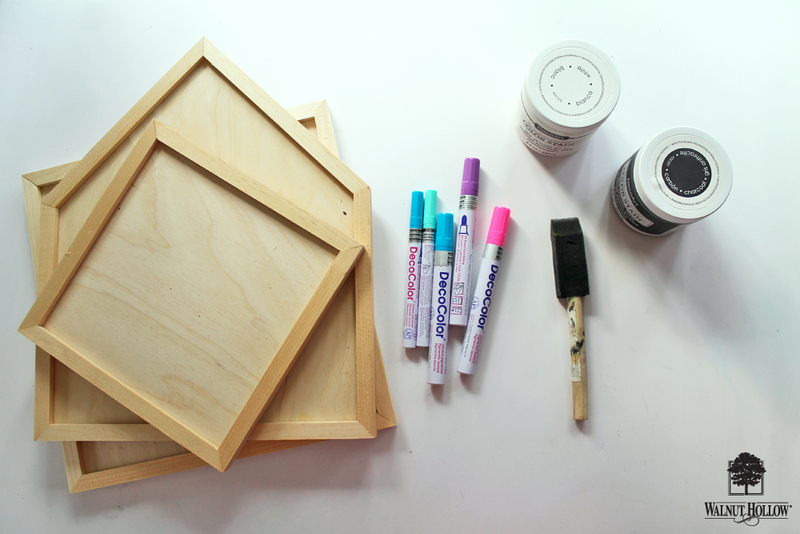 I painted the inside area of my framed sign with a white color stain (by DecoArt). 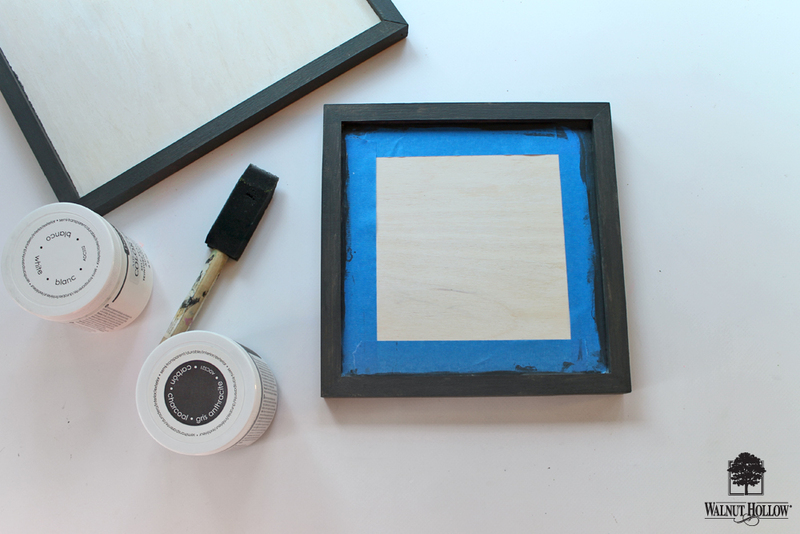 Once that was dry, I taped off the inside, and painted the frame with a black color stain, which really helps the frame to stand out. 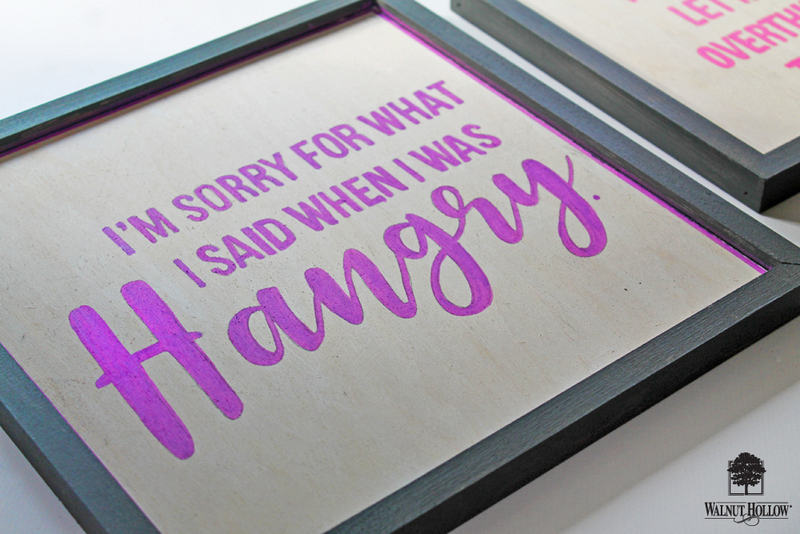 Next print out the quote/words/design you want on your sign. 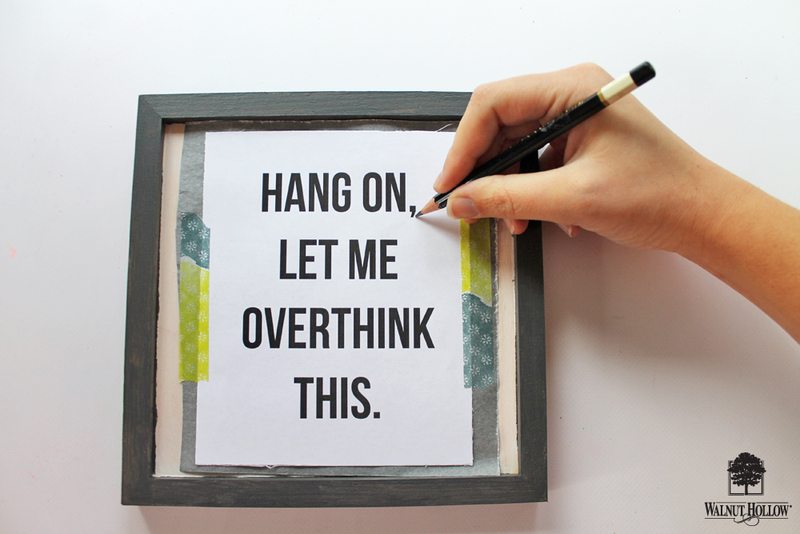 Layer it over a piece of transfer paper and use a pencil to trace around the letters and transfer the design onto the framed sign. Fill in the letters using a paint marker. Try using different fonts to make specific words stand out. I had a lot of fun deciding what sayings to use on mine. 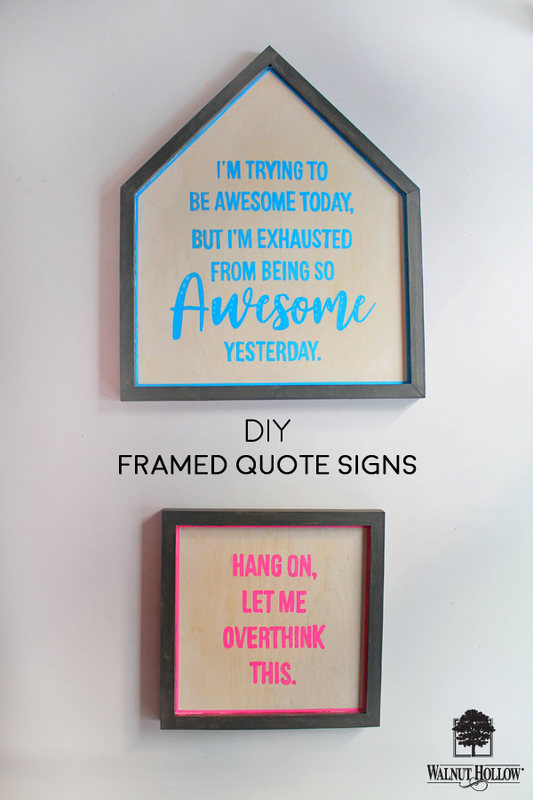 I went with some really silly sayings that are pretty relevant to me, however I also think it would be neat to create famed quote signs as gifts for friends, and you could customize it with a saying that they would love! 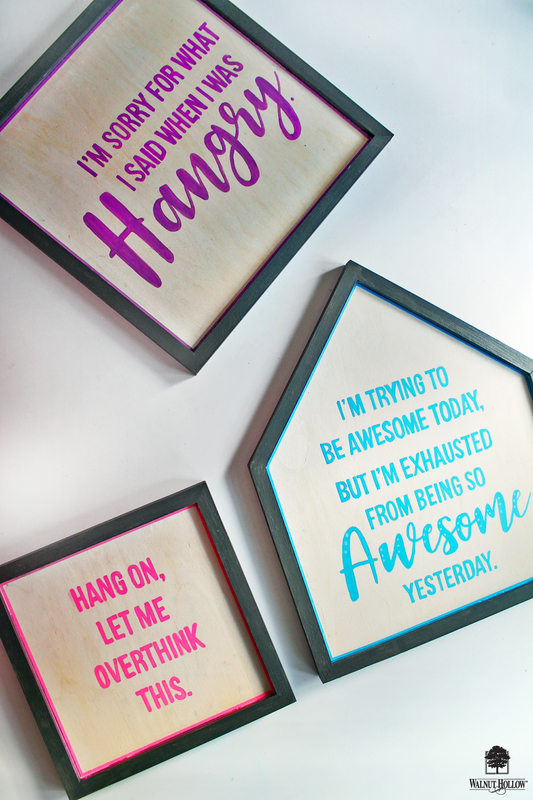 You can find multiple styles of framed signs ready to be customized here. What would you write in yours?